I see lots of people sporting Apple AirPods and other wire-free earphones these days. They think they’re on the cutting edge of personal audio, but they’re not. Cutting edge is earbuds that test your hearing, and then tailor their left and right components to your unique requirements. Cutting edge is processing ambient sound, and then rebroadcasting it to your ears while precisely mixing it with the sound streaming via Bluetooth. Cutting edge is protecting you from hearing loss and expertly compensating for any you might already suffer from. 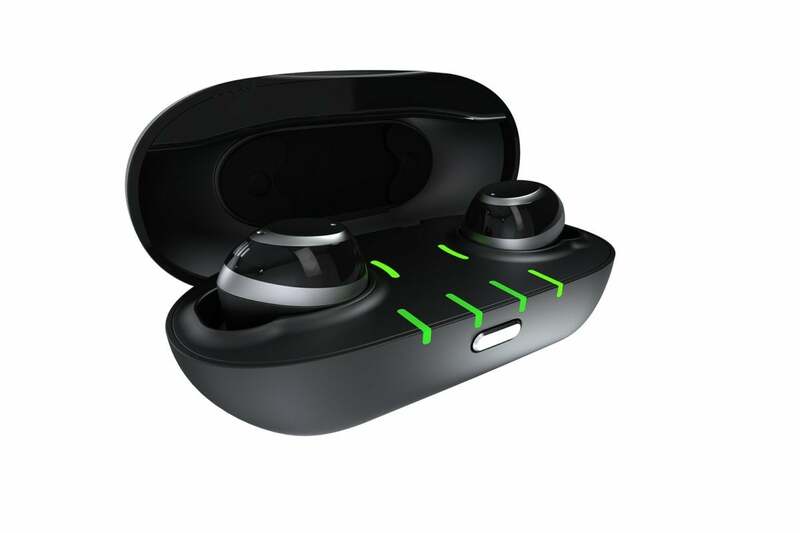 Nuheara’s IQbuds Boost do all of those things. The IQbuds Boost ($499 at Amazon) is a smarter, higher-quality (the Boost support the aptX and aptX Low Latency codecs), and more sonically customizable version of Nuheara’s less-expensive IQbuds ($299 at Amazon). Both products perform the same basic trick: They blend the ambient sound captured by tiny mics in the buds themselves with the audio you stream over Bluetooth. As you can see in the image below, the IQbuds Boost are handsome, if a little large (the outside-the-ear portion is about the size of an olive). The case connects with your PC via USB and has it’s own battery which will charge the ear buds about three times when you’re on the go. Each IQbud has two microphones and a touch sensor for handling phone calls, playing and pausing music, activating Google Assistant or Siri, and other functions. The stem, which is padded with your choice of eight pairs of silicone or foam tips in several sizes, is the only part of the IQbuds Boost that actually fits in your ear. And getting a tight fit is essential, as these earphones work efficiently only when all ambient sound is blocked. I found them perfectly comfortable, although I didn’t wear them all day. I also found the IQbuds Boosts very sonorous for straight music listening. They’re at least the equal of anything else I’ve heard. My one peeve was that covering the mics sometimes resulted in a feedback squeal. It wasn’t painfully loud, though, and I learned pretty quickly to avoid doing that. I also wore the IQbuds Boost past some loud constructions sites, and was able to tone down the ruckus to very tolerable levels. The ambient sound the IQbuds Boost delivered to be quite usable, but perhaps not completely accurate—there was just a bit of metallic resonance to them. But this largely disappeared as I lowered the level of the ambient sound (more on how that’s accomplished later). In addition to the aptX codec support and a slightly different industrial design than the less-expensive IQbuds, the IQbuds Boost support Nuheara’s EarID technology, an element within the Nuheara app that evaluates your hearing and ostensibly alters the IQbuds’ internal processing to boost regions of the audio spectrum according to your needs. Nuheara’s IQbuds sans Boost sell for $200 less. They come with the same charging case, but you won’t get EarID or support for the aptX and aptX Low Latency These are the regular, $300codecs. My hearing in my left ear isn’t what it was, but it’s not a seriously debilitating issue. I tried EarID and it did a good job of EQ’ing for my left ear. That said, I had the impression that the volume was still a little low on the left side. Whether that was the fault of my ear, my brain, or EarID, I can’t say. But I would have appreciated having the opportunity to do a little manual tweaking. I also passed the IQbuds Boost to a friend who has more severe hearing problems. According to her, the EarID app was as good as the test she was given professionally, and the quality of the IQbuds Boost’s sound was light years beyond that delivered by her $10,000 hearing aid. That price is not a typo, just a medical-industry absurdity. The one thing the IQbuds Boost didn’t provide her, she reported, was the volume she needed for ambient sound. “These would be a godsend,” she said, “if not for the lack of volume.” I found them pretty loud, so she evidently really does have more than minor hearing loss. Indeed, Nuheara might have concluded that making the IQbuds any louder could be dangerous for the average user or for someone with mild loss. These are not FDA-approved medical devices, after all. The IQbuds Boost take about 90 minutes to charge, and run time is about 5 hours streaming, 8 hours simply processing ambient sound. The case has enough battery to charge them three to four times. The flat outer surfaces of the IQbuds harbor touch controls, which you’ll use first to pair the buds with your smartphone or other device. A tap on the left-hand bud will play/pause music or answer/mute a phone call, while a long tap will disconnect or reject an incoming call. A double-tap on either bud will summon Siri on an iPhone or Google Assistant on an Android model. 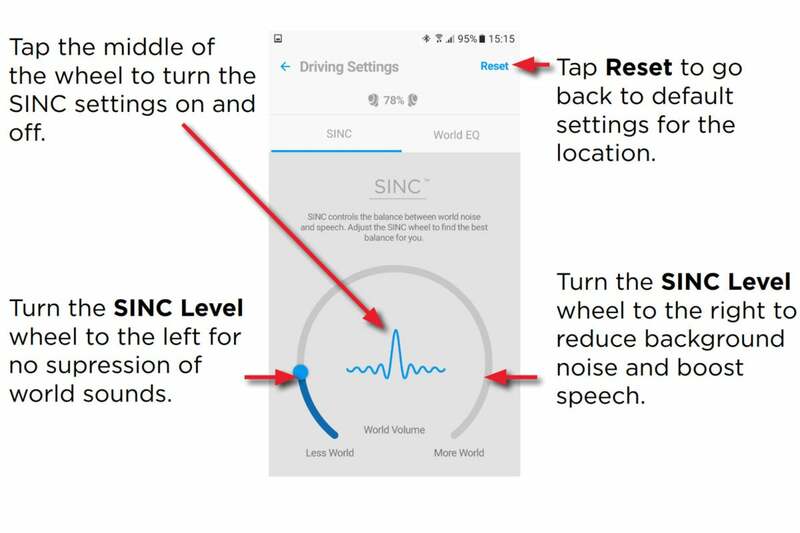 Tapping the right-hand bud toggles SINC (super intelligent noise control), which determines the balance of ambient noise and speech as picked up by the IQbuds microphones. You set this balance using an onscreen control wheel in Nuheara’s smartphone app, which is available for Android and iOS, as shown below. This page from Nuheara’s user manual shows how to adjust the mix of ambient noise (world noise, as Nuheara callss it) and speech as captured by the IQbuds’ microphones. Nuheara’s app is one of the better ones I’ve used, but it can’t update the earbuds’ firmware. That requires a hardwired USB connection and a firmware-update utility that runs on Windows or macOS. If you’re mobile device-only, you’ll need to buddy up with someone. Without FDA approval, the IQbuds Boost can’t be sold as a hearing aid. But there’s no law saying I can’t point to that out as a possible application, or that those with mild hearing loss shouldn’t give them a shot. If you just want earbuds that mix ambient and transmitted sound to taste, function as ear protection, and you’re willing to give up EarIQ and aptX, stick with the $300 IQbuds.